IMPACT18 Holland by Nolet ends with a bang! May 27, 2018- Netherlands, what an incredible country! 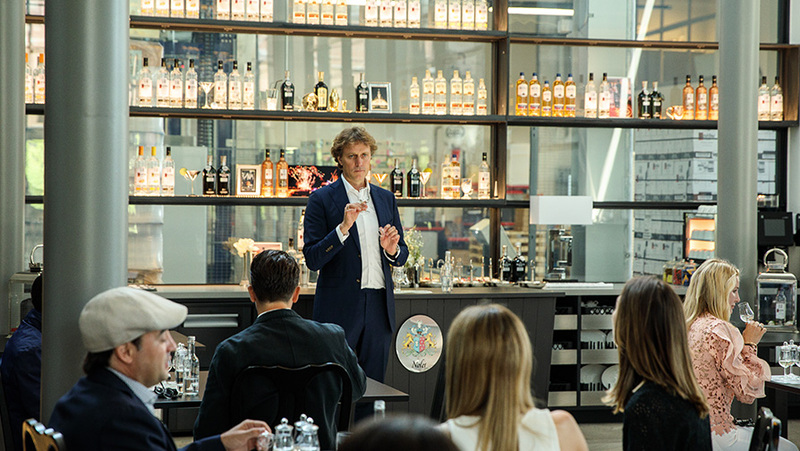 Thank you so much for the 50+ leaders from all over the world that joined us in exploring The Hague and Amsterdam specifically the beautiful museums, canal tours and Nolet Spirits (Makers of Kettle One and Nolet Gin). A once in a life time experience, which was capped with announcements in Digital Marketing innovations and three new Botanical Lines of Ketel One Vodka. Meeting with the 325 year old Nolet family, specifically Bob Nolet, the 11th generation, was a bonus. He gave us such a wonderful insider’s view on his family and the business. We were treated to a new documentary film about the Nolet Distilery which has won numerous film festival awards. We also learned about their marketing strategy, which is to roll out new product to the wine community instead of just the liquor community. A new and innovative marketing strategy that was implemented with the (3) new botanical spirits being distributed by Nolet, starting today. The demand has been so strong, the company is working overtime. The company’s proprietary supply chain is awe inspiring. We were treated to a first-hand view on how they can be the most efficient company in their industry. Bill Eldien, CEO, was responsible for this strategy due to his experience in the industry and it is working beautifully. The Nolet family also decided that word of mouth would work better for their brand than direct, paid advertising. This means to take your time and not to rush – we are calling it “patience marketing”. After an informative day visiting the distillery and the IMPACT conference, we were treated to a wonderful evening at Bob Nolet’s dinner and cocktail venue “Bob’s Garage” – which has only been used a handful of times in the history of the company. Included in our experience was the IMPACT conference which brought innovative ideas on how we can use our different talents and skills to strengthen our own business models. Our guest speakers were Jason McDowall who spoke about opportunities in the Bahamas, John Cain who touched on marketing strategies such as the impact of quality of photographs and videos in real estate, Mike Moran who explained how cameras and film are continuing to focus towards mobile phones specifically making better quality on mobiles, Lee Constantine who touched on his company Publishizer which connects independent authors with publishers and readers, Mark Samuel who spoke about how to make corrective changes in your work place to always keep a healthy environment, Marco Scheele who reviewed a case study supporting Mark Samuel’s suggestions on a healthy work environment and Mark Maier who gave insight on finding yourself and leadership. Our goal for this trip was to put together a cultural, culinary and business insight strategy experience which was delivered in spades. Next year’s IMPACT19 Bahamas will be taking place in Nassau with a 3-day, immersive experience on the tropical island destination.